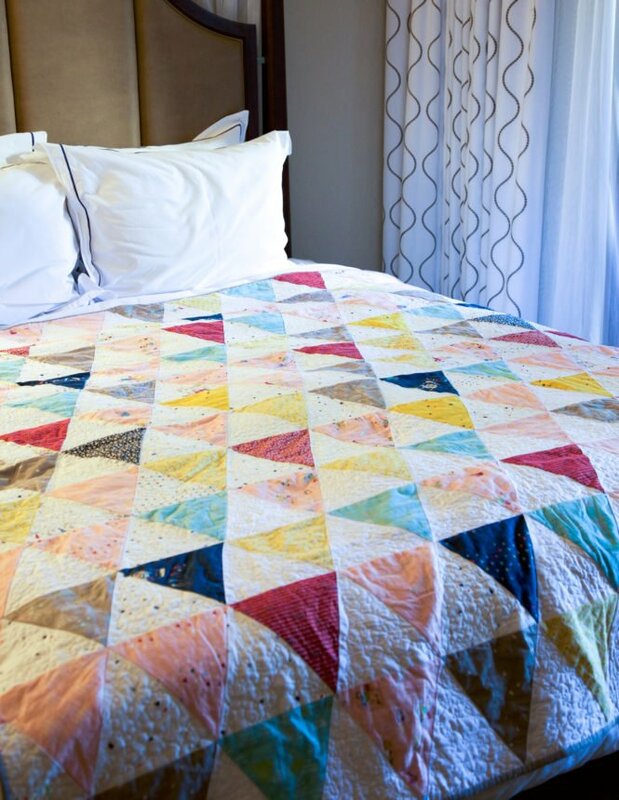 "Hello Quilters! By now you must know about Minki Kim, as she creates so many fabulous things across different mediums, especially sewing, needlework and quilting. Just take a glance at Minki’s Instagram for the proof! She has now made her debut as a Riley Blake Designs fabric designer with her sweet yet modern fabric collection Dear Diary. 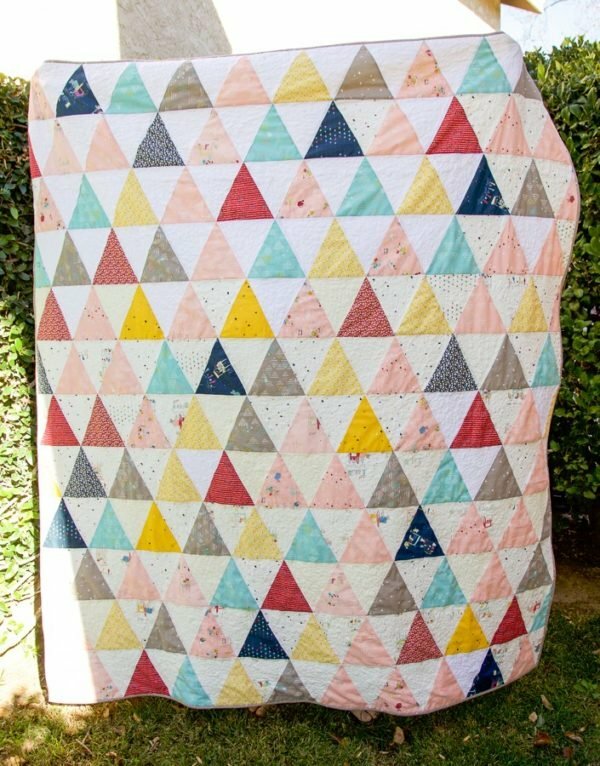 Above all, Minki is a shining example of living creatively and trying new endeavors, and she is pushing us out of the box today with her fun Triangle Quilt tutorial! (Yes, triangles can be fun!)"